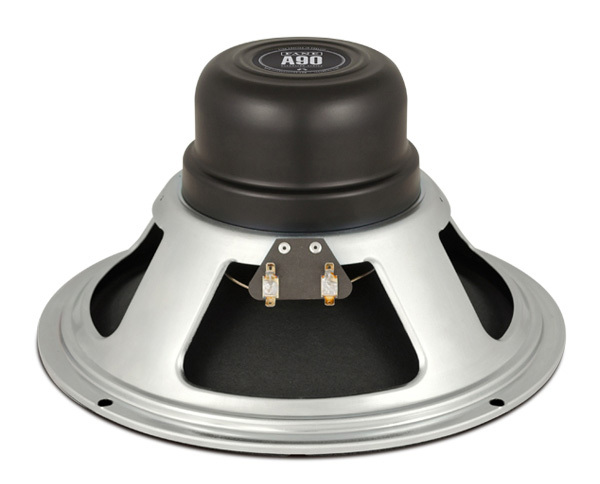 The 12-inch Ascension A90 is a bold new entrant in the arena of high performance Alnico guitar speakers for modern rock and metal sounds. With a power handling capacity in excess of 90 watts, this is the speaker that long-suffering high output compact combos have been waiting for. Providing a refined tonal ‘flavour’ of the F90, the A90 is ideally suited for high-powered 1x 12 combo applications where formerly the compromise you had to accept was a stiff, harsh sounding and heavy weight speaker just to manage the power. Now imagine warmth, bell-like highs, sparkling mids, solid bottom end response and the familiar Alnico compression quality that will do equal justice to clean tones and high gain voicing. Add to that the high power to weight ratio of Alnico and back breaking compact combos now become more manageable and tonally beautiful.